It was wonderful to see the children's expressions when you came out on the stage with your lively music and puppets. 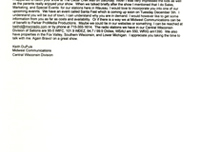 You are very talented and we appreciate you sharing your time and talent with us. 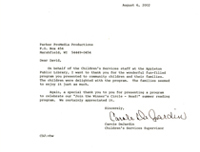 As in the past, you were terrific! 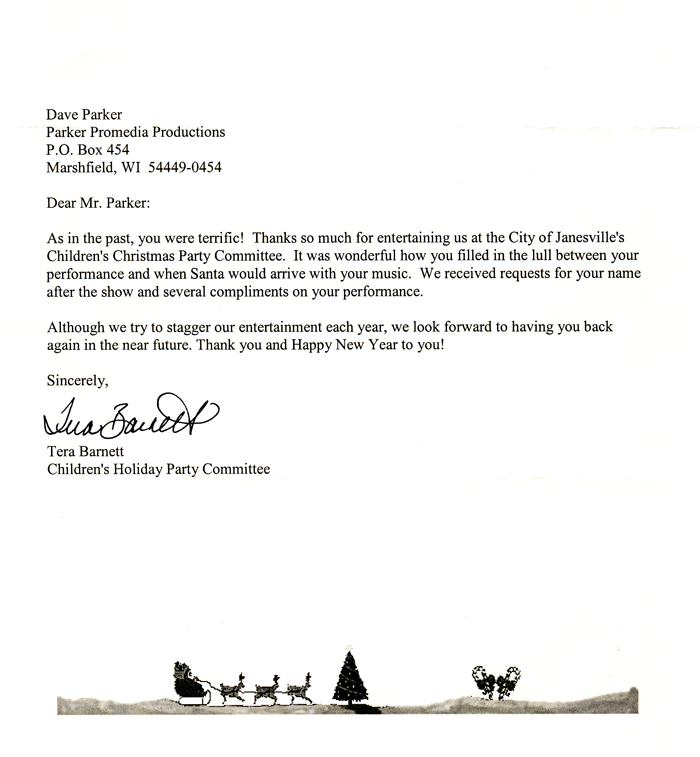 Thanks so much for entertaining us at the City of Janesville's Chilrdren's Christmas Party Committee. 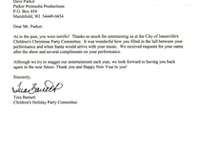 It was wonderful how you filled in the lull between your performance and when Santa would arrive with your music. Everyone certainly enjoyed your performance! 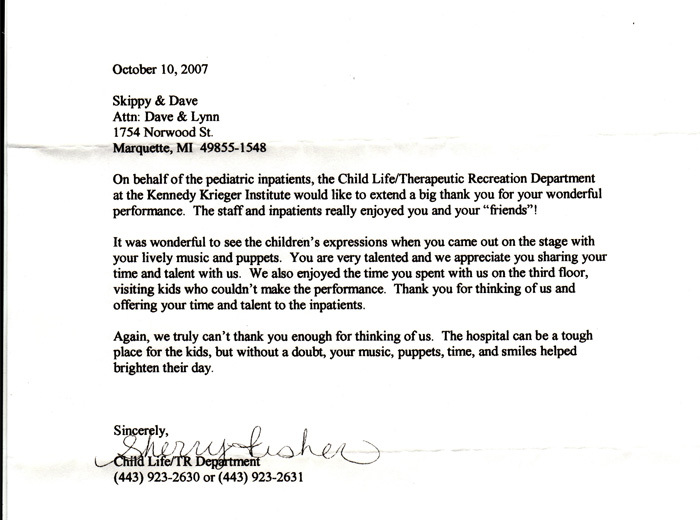 People continue to comment on how much fun they had at your event and throughout the day. I get the impression that you added some sun to our rainy day. 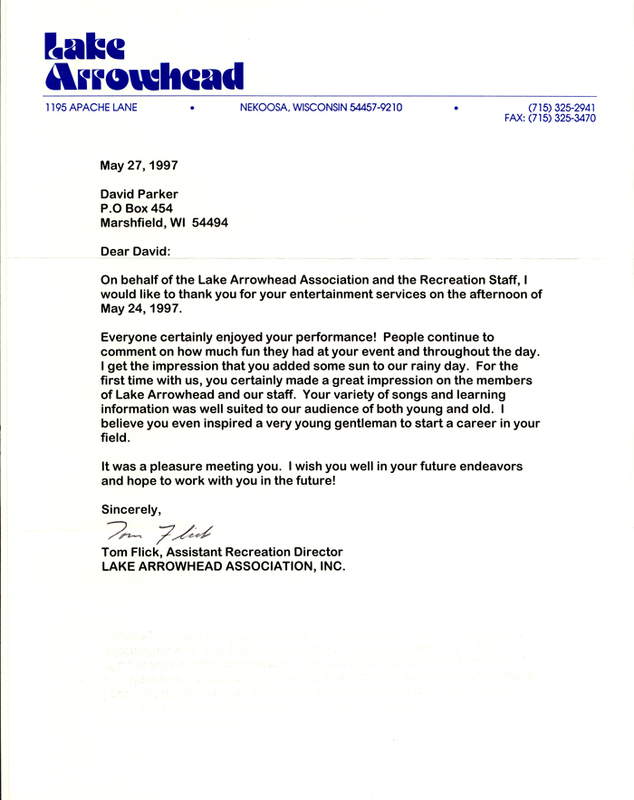 For the first time with us, you certainly made a great impression on the members of Lake Arrowhead and our staff. 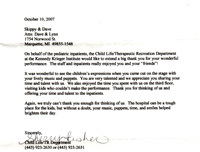 Your variety of songs and learning information was well suited to our audience of both young and old. 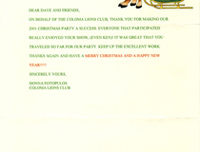 On behalf of the Coloma Lions Club, thank you for making our 2001 Christmas Party a success. 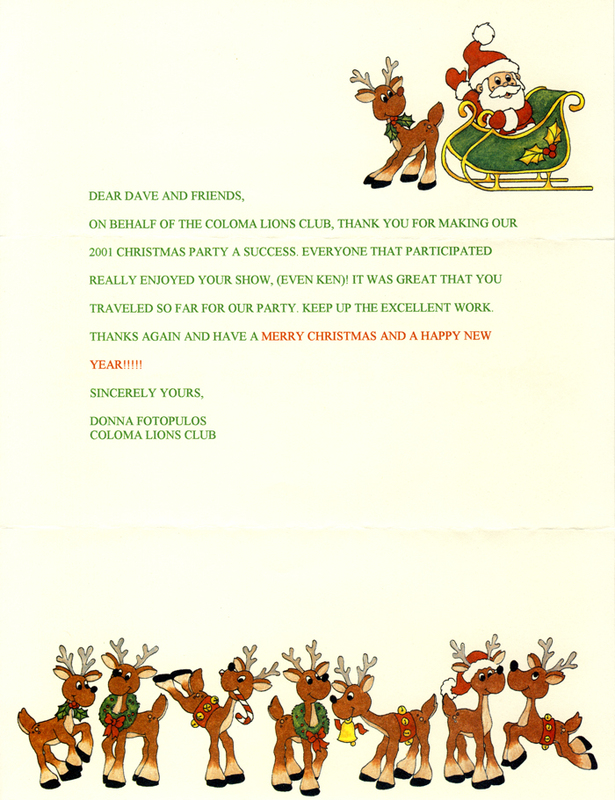 Thanks again and have a Merry Christmas and a Happy New Year!!!! 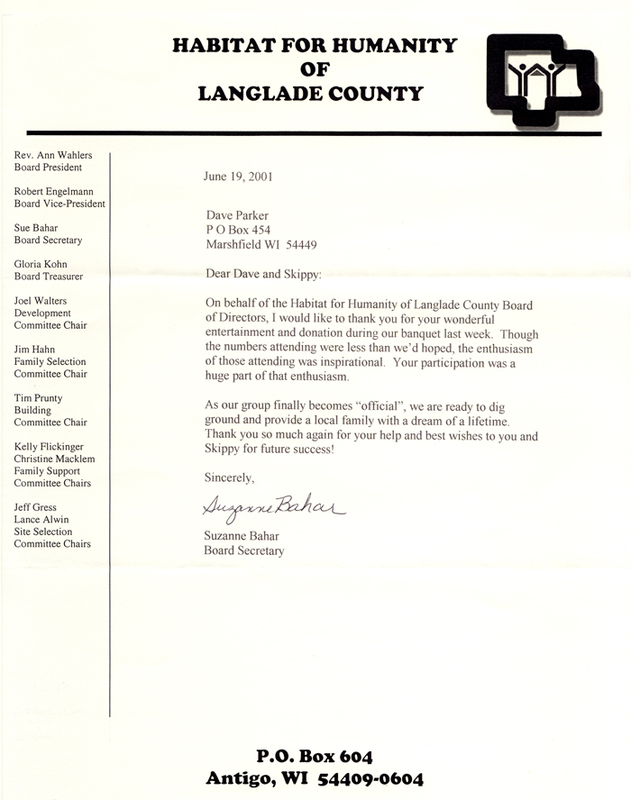 On behalf of the Habitat for Humanity of Langlade County Board of Directors, I would like to thank you for your wonderful entertainment and donation during our banquet last week. 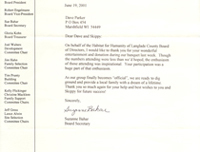 Thank you so much again for your help and best wishes to you and Skippy for future success! 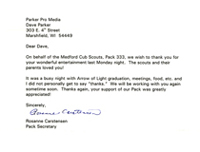 On behalf of the Medford Cub Scouts, Pack 333, we wish to thank you for your wonderful entertainment last Monday night. 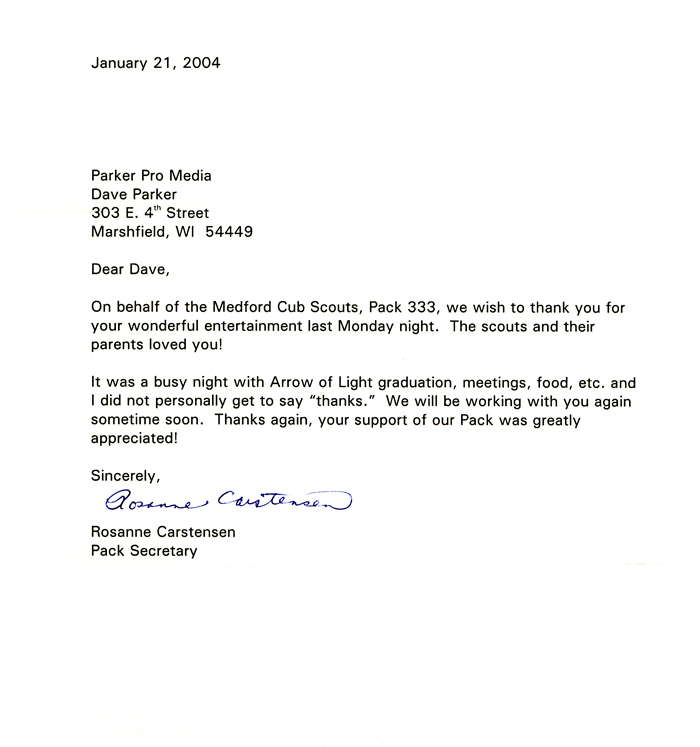 The scouts and their parents loved you! 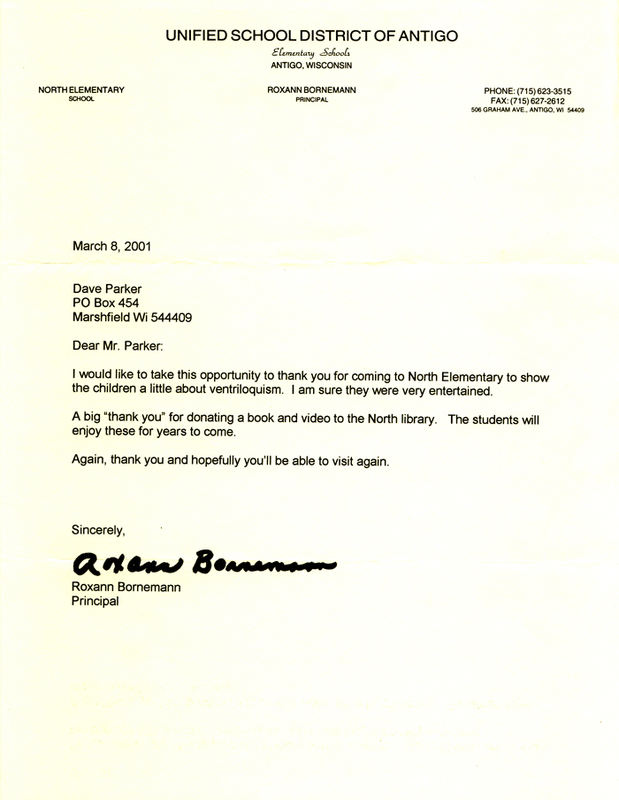 I would like to take this opportunity to thank you for coming to North Elementary to show the children a little about ventriloquisum. 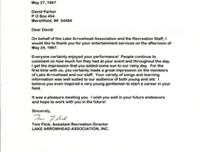 I am sure they were very entertained. 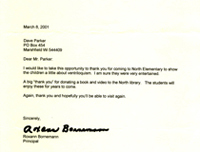 A big "thank you" for donating a book and video to the North Library. 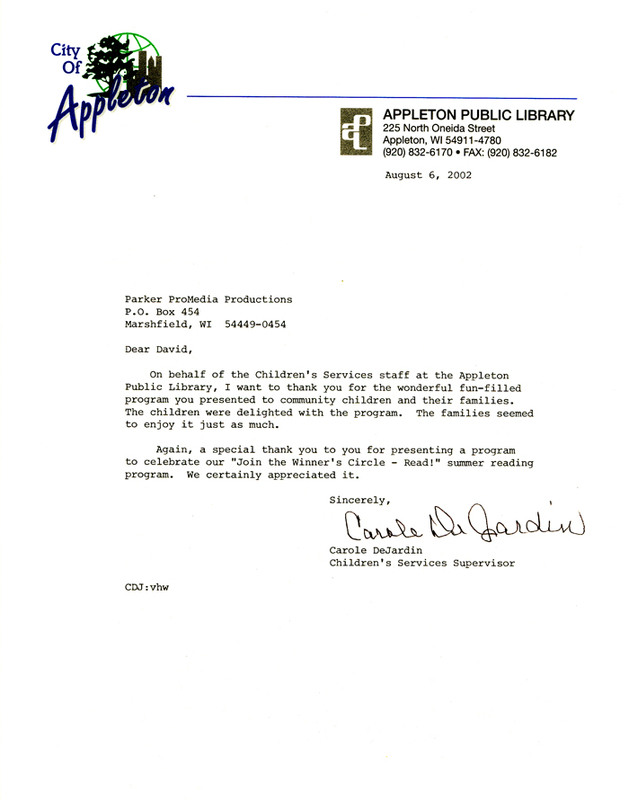 On behalf of the Children's Services staff at the Appleton Public Library, I want to thank you for the wonderful fun-filled program you presented to community children and their families. I happened to catch your show at The Cedar Creek Mall on Saturday. I appreciate you taking the time to talk with me. Again Bravo! 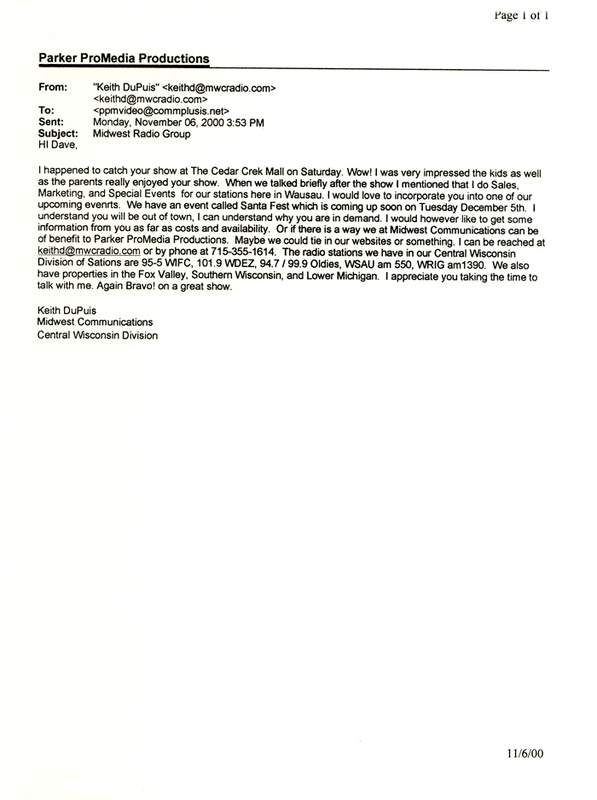 on a great show.